The users are really on hype, creating anonymously several accounts one after another on social sites and then they are unknown about what is occurring at which ones. The Facebook account are really free of costs and users make a lot of accounts and they would like to get notifications and other things, but once they logged in one account, they are unknown on the very next account. These impossibilities make them puzzled as how to manage several accounts on the same pages get denoted notifications of activities happening in ease within the account. When you log into one account of Facebook, then within your browser you are unable to see what in other account happening without logging this account which you have signed in, now these arises issues like how will you manage such type of several accounts one after another at the very place and very time. Google Chrome is one of the browsers which really keen upon certain ways to make sure that the user is compatible to do his or her works in ease with its option and plugging. The users then think how will they compute and maintain all the activities happening on the side, and this can be done by Google Chrome itself makes you get opportunities by Facebook quick login. Google> Write Chrome Web Store> first link of it will be there> and enter into Google Chrome Web Store. There will be certain numerous Applications which will make you think what should be, just on the left side bar, you can write Facebook quick login. As entered the page, you will get the page in which you will be required to install on your system, and you can install there. Once you have downloaded it onto your system, you need to install the extension as it will be asked by the Google Chrome. Once done you click on the very extension of the Google Chrome, you will get the option as to click on it. The very next click on here will take you to a page. This page will have your name, username and password, which you need to enter utmost of five, but you can less if you have as many accounts. Once you have entered all the fields, just click ok, and check it. All done and you will get a Facebook extension notification for it and all there in the chrome itself. 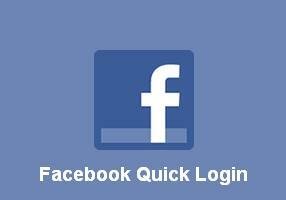 So this is an amazing tutorial on How To Handle Several Accounts of Facebook Using Facebook Quick Login I hope you enjoyed it. Shrinivas recently posted..Manage Your WordPress Blog with this Free Android App!